Parker PGP130 Series Gear Pump. The Gear Pump Division of Parker Hannifin Corporation, a global leader in motion and control technologies, announced the launch of the PGP130 series product line, a fixed displacement external gear pump. PGP130 series pumps fit where space is limited, and are capable of delivering high pressure fluid transfer for a number of segments including site construction, mini-construction, road construction, truck, mining, agriculture, and oil and gas. 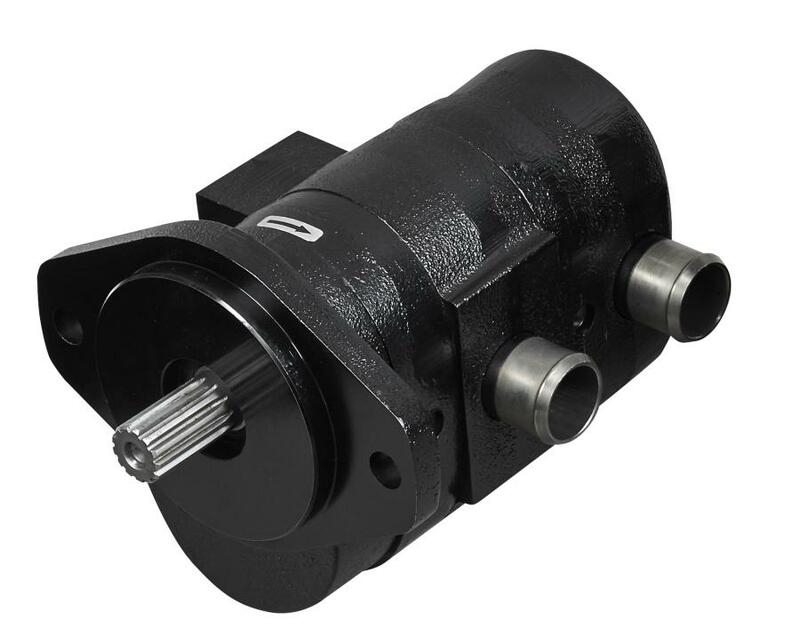 Available with industry standard output shafts, ports and mounts, PGP130 series gear pumps deliver up to 25 GPM (94.6 LPM) at 3,988 PSI (275 bar) continuous pressure and up to 27.5 GPM (104.1 LPM) at 3,045 PSI (210 bar) continuous pressure. Cast Iron construction and compact design allow PGP130 series to increase capabilities in limited spaces where less rigid aluminum pumps are often used. “While analyzing the needs of our current customers and aligning our portfolio for growth, we discovered that our customers need a high pressure option for the mini-construction market” said Matt Weir, General Manager, Gear Pump Division. “PGP130 series product is the perfect high power density complement for Parker's gear pump family in a market segment where space within the vehicle is so limited”. PGP130 series gear pumps will be shipped from Parker's Kings Mountain, N.C., location. Parker Regional Field Application Engineers are available to support field service. For more information, visit www.parker.com/gearpump.